San Francisco Getaways - Where Free Things Lasts A Long Time! Anyone who knows me well knows that I like free and cheap things to do while on vacation. So this time I’m here to offer valuable advice on free things to do on San Francisco getaways. Granted, it is not wise to think that you can go on vacation without spending any money and have a good time. However, it is quite possible to be very selective when deciding where to lodge, dine and spend your money by having alternative options that cost little or no money. San Francisco getaways for endless fun. Find the perfect San Francisco hotel at the lowest price. Check hotel rates at TripAdvisor! My top 11 list consists of things to do for free when visiting San Francisco for endless fun. 1) Tip hotel prices: Unfortunately hotel prices are high in the San Francisco area, but nevertheless with a little research you´ll be able to find some good and inexpensive lodging. Some less expensive examples: the Redwood Inn in a prime location on Lombard Street, within walking distance of Fisherman’s Wharf. Parker Guest House B&B at 520 Church Street, conveniently situated very close to the MUNI stop and within minutes of Market Street. 2) Golden Gate Park. This park is larger than New York‘s Central Park and in my opinion equally grand. There is so much to do and see in Golden Gate Park that you could spend a good portion of your vacation here alone. 3) Cable Car Museum. Kids of all ages will find this museum interesting, especially big and little boys. This museum definitely offers a great deal of education and excitement for the family. In addition to learning about these neat cable cars which have become a trademark of San Francisco transportation. This is one museum I would pay to go to, the fact that it is free is a bonus that I can’t resist and the primary reason it is on this particular top 10 list. Tip cable car: Of course you have to do a ride on the cable cars, but ticket prices are a bit steep, $6 per ride. Take advantage of the visitor pass that can be purchased for 1 day ($15), 3 days ($23), or 7 days ($29) or of unlimited rides on Muni, Muni Metro, historic streetcars, and cable cars. 4) Walking Tours of San Francisco. These free walking tours are not only entertaining; they are also very informative as well. Learn about the history of the neighborhoods that this city is famous for as well as the great people who rebuilt a grand city, literally from the ashes of what it once was and made it even better. San Francisco has a wonderful story to tell and these guides narrate it wonderfully. 5) San Francisco Fire Department Museum. For the big kid in all of us that wanted to grow up to be a fire fighter, this museum takes the cake. Not only does it provide great historical references and artifacts but it is also really cool! I can think of no greater compliment to give a museum than that. This one, even your children will enjoy and beg to go back again and again. 6) San Francisco Botanical Gardens. The climate of San Francisco provides a unique atmosphere that allows the growth and maintenance of plants from around the world. As a result the San Francisco Botanical Gardens offers a look at plants that are rare almost anywhere else on earth. The Gardens are 55 acres and host more than 7500 plants from around the world. Tip: For Inexpensive Romantic San Francisco Getaways: Instead of a boat cruise at sunset, enjoy the view on a ferry boat. Instead of a costly restaurant, choose to dine in nature, do a romantic picnic in Golden Gate Park. 7) Chinese Culture Center. This center offers resources about the Chinese culture in San Francisco. Iin addition to many programs that are available to learn about the artistic and cultural contributions that the Chinese community has made to this great city. You can take a free Chinatown walking tour to get behind the storefronts into the thick of Chinese culture in San Francisco. 8) Fort Point National Historic Site. This San Francisco Getaway has special historical significance. Its original intent was to prevent invading forces from entering San Francisco Bay. By the end of the Civil War the massive cannons that had been used for this purpose were obsolete. The last of the original 126 cannons was removed around 1900. During the 1930’s, the fort was used as a headquarters for the building of the Golden Gate Bridge. This Fort has played a vital role in our history and is worth a visit, especially considering the fact that it is free. 9) Stern Grove Concerts. These concerts only take place on Sunday afternoons San Francisco Getaways during summer months but are well worth checking out if you have a sunny Sunday afternoon available during your stay. The goal of these concerts is to educate the masses and potentially inspire future musicians. A love of music is the second best gift you can give a child, second only to a love of reading. It’s a great way to spend an afternoon, and it’s free! 10) Wells Fargo History Museum. This museum is a fun side trip for the family. Not only does it tell the history of Wells Fargo as it pertains to San Francisco, but it also tells of Black Bart and other stagecoach robbers while providing visitors with the awe inspiring story of the great earthquake of 1906 and the role of Wells Fargo in the recovery process. I believe that young and old alike will find this museum to be a lot of fun, especially for the price. 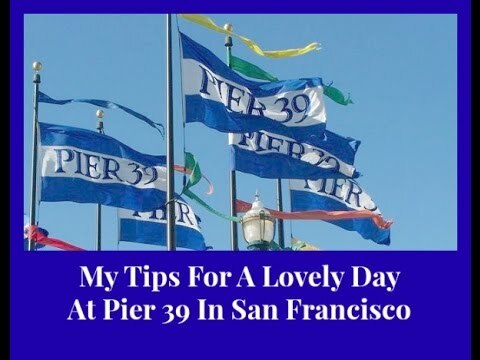 If you are looking for San Francisco getaways and need some great family friendly activities to fill your days, then these activities and tips are a great and inexpensive way to pass a weekend or a couple of days. I hope that you can find a few more things than I have mentioned here to help fill in gaps and entertain the young and old on your getaway alike. Related Getaways to San Francisco Getaways – Where Free Things Lasts A Long Time!